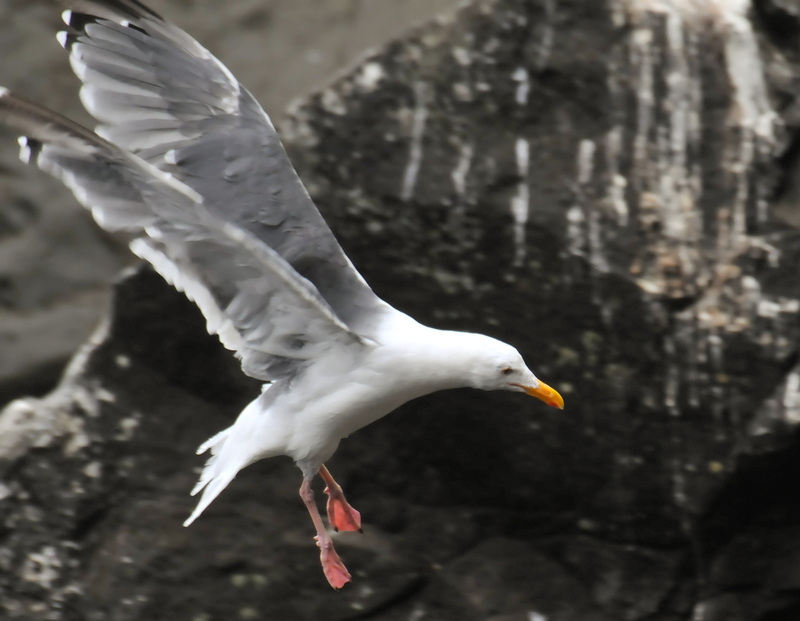 A Herring Gull prepared to land on the rocks close to a viewing area in the Sea Lion Caves near the town of Florence, Oregon. 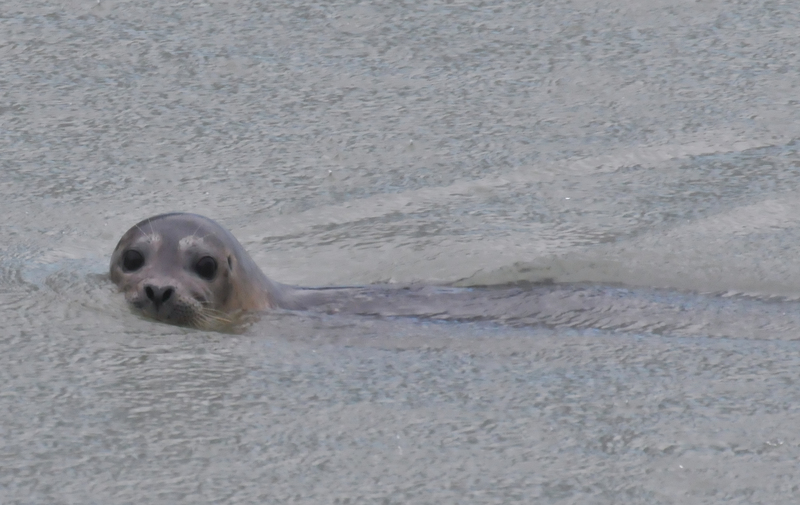 A Harbor Seal surfaced near the boat and seemed a little surprised to see how close she was to us. She checked us out, and then sedately swam away. 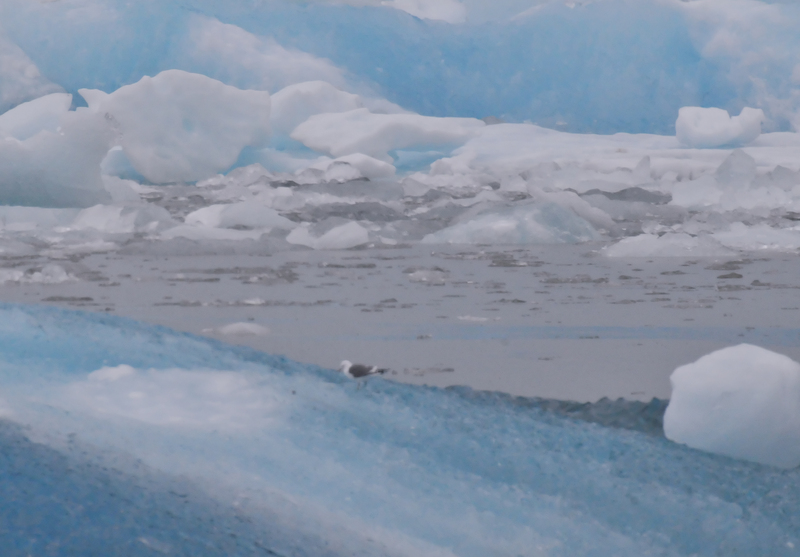 A gull perched amid the icebergs of Sawyer Glacier. 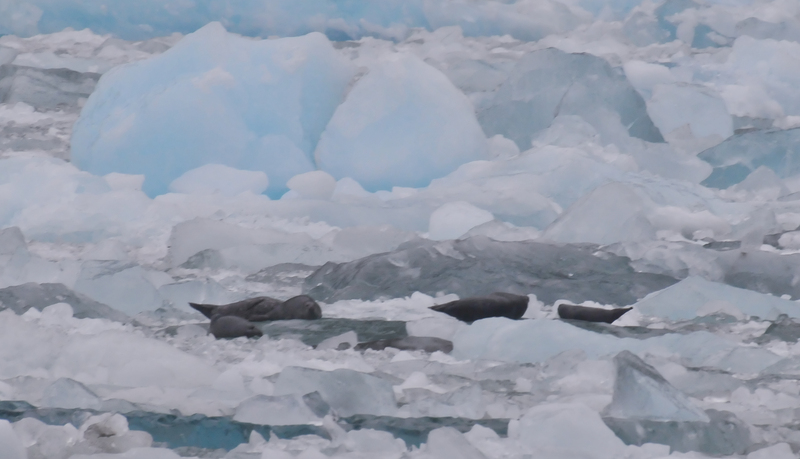 Another group of seals lounged on ice flows near Sawyer Glacier. 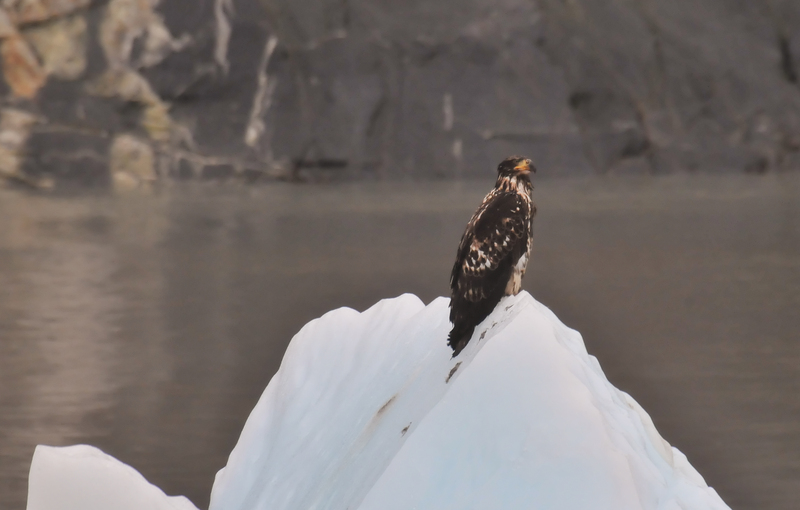 An immature Bald Eagle stayed on his iceberg our entire stay at the Sawyer Glacier. 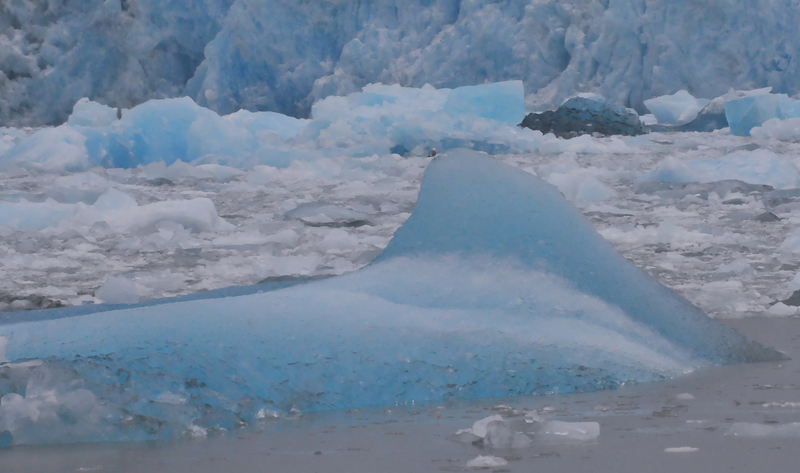 This beautiful blue iceberg looked like a diving whale to me. For size comparison you can see a gull perched on the very top of the "fin". 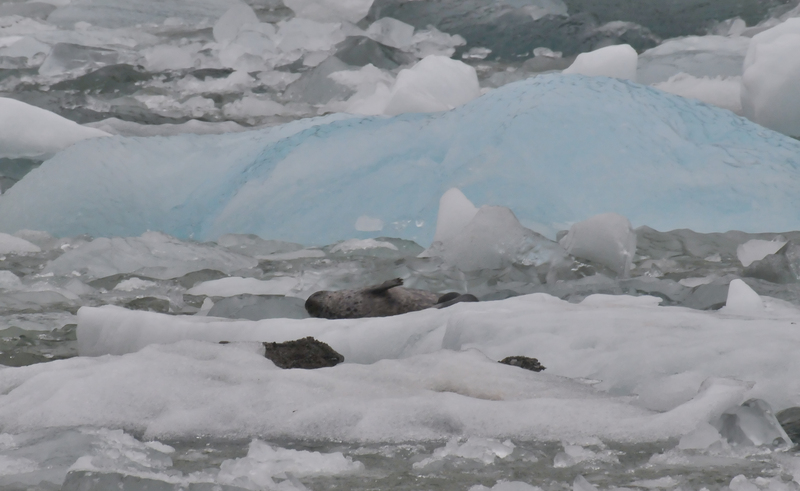 Several seals laid on ice flows in front of a newly calved iceburg from the Sawyer Glacier. The iceberg retained its gorgeous blue color, which would fade to white as it continued to be exposed to air. 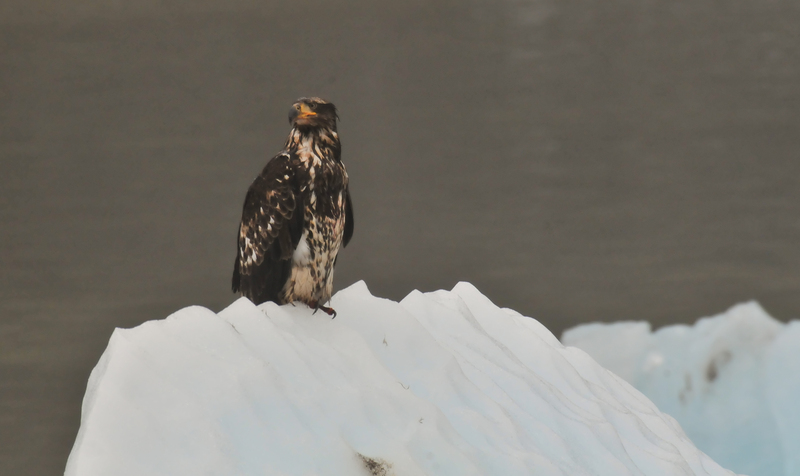 An immature Bald Eagle sat atop an ice flow and awaited an opportunity to feed on a seal. The other boat witnessed the killing of a baby seal by bald eagles. I'm glad I missed that. 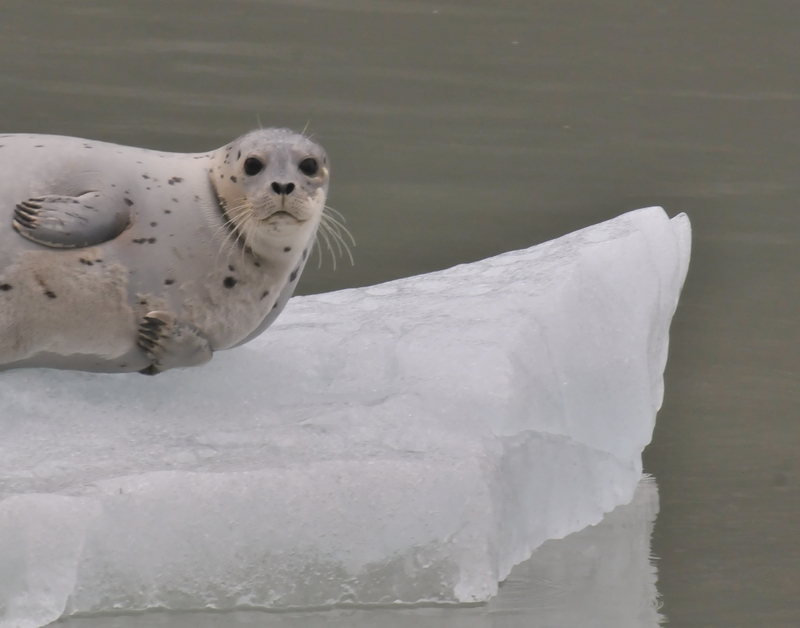 The mother Harbor Seal from yesterdays posting posed for a great lounging photo. 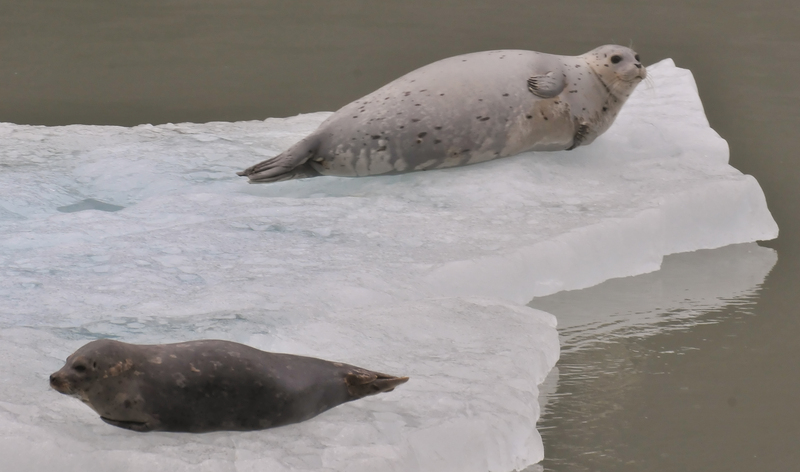 A mother harbor seal and young rested on an ice flow near the Sawyer Glacier in Alaska. They came to this area to have their pups without the threat of Orcas. However, there were still bald eagles that would prey on newborns.